Classical Muslim scholars used to divide travel and travel writing into two categories. First is what they called rihla — a description of what the traveller did, saw or experienced. Ibn Battuta’s travelogues are the best known in this genre. However, rihla can also be more than mere narratives and descriptions. They can form the basis of scientific enquiry. An example of this kind of rihla is the 11th century polymath Al Biruni’s description of India. Travelling under the protection of Mahmud of Ghazni, Al Biruni studied sciences and mathematics and wrote Tarikh al Hind — one of the most comprehensive books on pre-Islam subcontinent. In fact, great rihla, according to the scholars, had to have some analysis as well as description. There is another tradition of travel and travel writing among the learned Muslims of yore, that of safr. Safr is the word for travel or journey in most north and east Indian languages, including Bangla. To the 11th century Sufi philosopher Al-Ghazali, safr meant any travelling through which a person evolves. To him, safr meant as well as the physical act of travelling somewhere, mixing with the inhabitants of that land, imbibing oneself with their customs and ways, and evolving into a person closer to Allah. Al-Ghazali further categorised travellers: those who travel seeking knowledge, the best kind; the Hajis; the immigrants — the Prophet himself was an immigrant; and the refugees, the worst kind. What is the line between an immigrant and a refugee? Salman Rushdie and VS Naipaul have both written about the uprooting involved in migration. Both have noted that at some level or other, all migrants are really refugees. But for Naipaul, the uprooting is mostly a bad thing. Rushdie is open to the possibility of migration leading to something new. Migrants are works of translation, he writes. Those of you who have read the Quran probably have done so in translation. Translation then can’t always be bad. (Updated: 1353 BDT, Aug 24 2014). Factors that have put the blog on a deep freeze are the same ones that keep me from going to the movies. And in any case, who needs movies when you have Game of Thrones and Zia Haider Rahman? 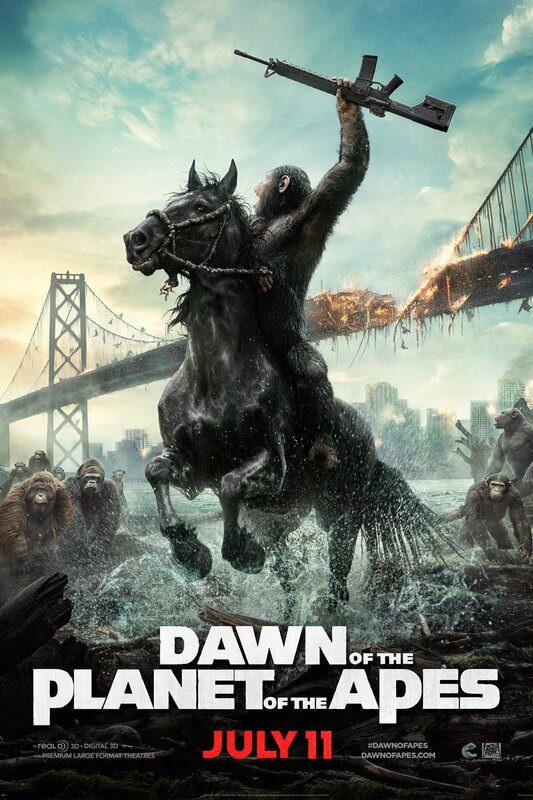 Dawn of the Planet of the Apes? A sequel to a prequel reboot — the second one in a decade or so — of a 1960s movie that spawned four (or five?) sequels in the 1970s, with a confusing title — rise before dawn, were the producers observing Ramadan — is it really worth making the effort for this, I asked myself. I am glad I did make the effort. The movie has received positive reviews, and is a box office smash. And it has generated enough bubbles between my ears to force my fingers on the keyboard. (Warning: this is not a movie review, and thus I am not confined by the ‘no spoiler’ norm — read at your own risk).